The best of June goes to two amazing Thai places. 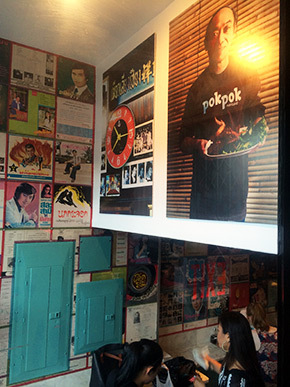 Pok Pok Phat Thai and Uncle Boons. 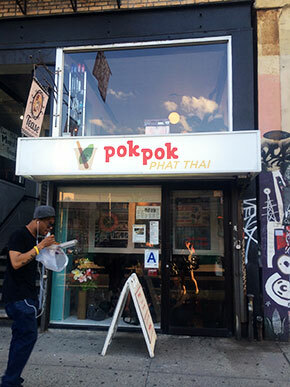 Pok Pok Phat Thai is a tiny eat-in/take-out place that is the sister restaurant to the very popular Pok Pok NY in Brooklyn, although they both have very different menus. 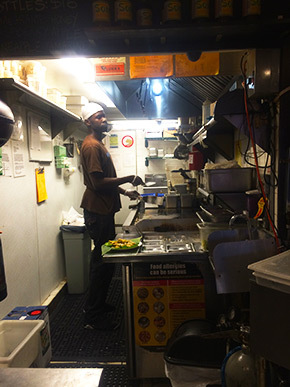 Pok Pok Phat Thai specializes in Thai noodles, as you may guess from their name. They offer five different kinds of Phat Thai (a.k.a. Pad Thai), two kinds of Kuaytiaw Khua Kai, and Hoi Thawt. 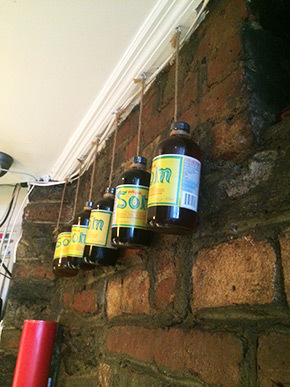 They also have several drink menus including their signature drinking vinegars. I tried their traditional Phat Thai for the first time. They serve their noodles on a banana leaf. 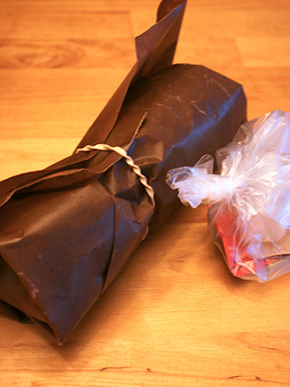 If you want take-out, they roll the noodles in a banana leaf and parchment paper for you. I am not a big fan of overly spicy food but their Phat Thai has the perfect amount of spice for me and I could enjoy the whole dish without suffering too much heat. 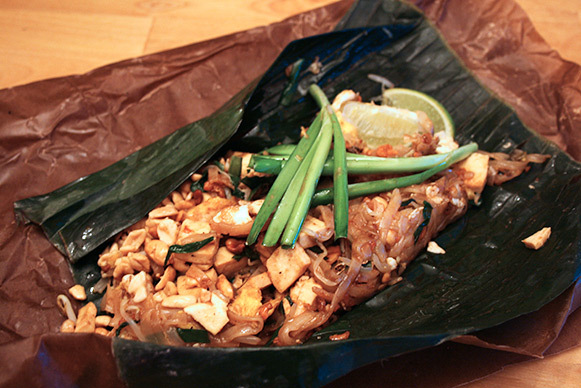 Thai food is known as "hot, sour, salty, sweet" and their Phat Thai exemplifies this statement perfectly. It was probably the best one I have tried except the one that my Thai friend made for me a long time ago. Although you can take-out their noodles, I would recommend to eat it at their shop if you do not live nearby. 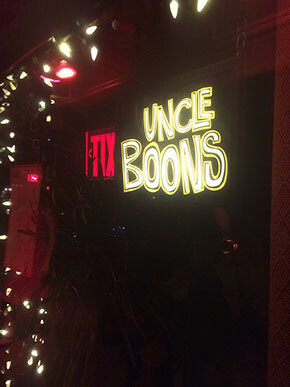 The other Thai place I really enjoyed recently is Uncle Boons in SoHo, a very different experience from Pok Pok. Uncle Boons has several interesting items on the menu. One was roasted whole cabbage with spicy dressing. Unfortunately, their staff warned me that it is extremely spicy so I had to give up on that. But I saw the group next to me was having it and they seemed to be enjoying it, despite their screams from the spice. The best dish at the Uncle Boons for me was the green mango salad. I love green papaya salad and I always order it whenever I go to Thai restaurants. I also make it myself at home. But their version (they use mango instead of papaya) was more flavorful than any other papaya salads I have tried before. I apologize for not having photos but the restaurant was very dark and I could not take any decent ones. But the darkness adds to the atmosphere of an old style thai home which was another reason I really liked the place.